My nails are ready for Valentine's Day! So I tried giving myself a french tip on my own, but as you can tell I'm still in need of practice. But with O.P.I flat brush, it actually makes it a wee bit easier to apply the tips some what evenly. By the way, this took about 2 hours to make and plenty of trial and error. 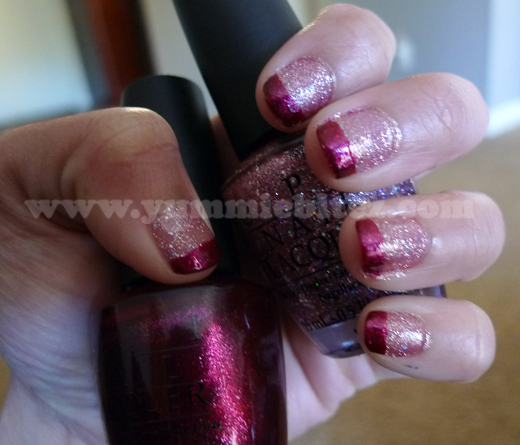 I've combined my two favorite nail polishes (aside from Shatter) from the Katy Perry O.P.I collection. 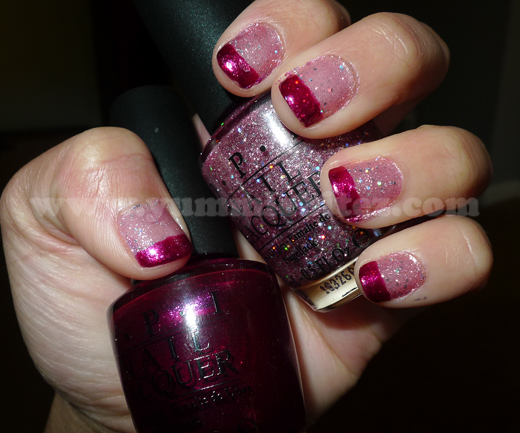 I love pink nail polishes and this is just perfect for Valentine's Day! I mean how girly can this be. So what are your big plans for Valentine's Day, if any? Are you getting in the "spirit" or is it just another (Hallmark) holiday for you? GORGEOUS!!!!! I want those polishes! Oh and I love the outfit you had on in JLovesMac's video.